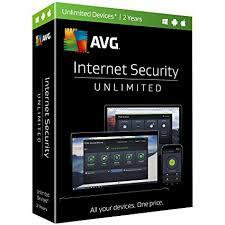 If you a home PC user, you can opt for AVG Ultimate which offer protection for unlimited devices within your household. It also include AVG TuneUp Unlimited in the package. Just pay one annual fee and you will get to install AVG Ultimate in as many of your devices that you wish. The software support the latest Windows Operation System as well as the old Windows XP and it offer protection against Ransonware, Spyware, Malware, Rookits, Trojans, Spam, Email, Viruses, Hacker Attack Protection, Payment Protection, Private Data Protection. The protection for mobile devices is also included. The payment protection feature will block spam and scam from the email and block fake bank web sites, fake copycat site or payment site. It will prevent you from accidentally giving up your username, password or credit card information to the wrong party. The privacy protection feature protect you from unauthorized access to your webcam, photo, private information. The real time scanning will ensure all download via the web or USB will be scanned and checked instantly for viruses. It come with an All-in-One Dashboard that allow you to manage your AVG applications across your other computers, mobile and tablets. With the Dashboard, you can even scan your computers at home remotely when you are away. Similarly, you can also optimize and tune up your devices using the same Dashboard.